Geek Show - Which 3 Fictional Characters Would You Invite To Dinner? 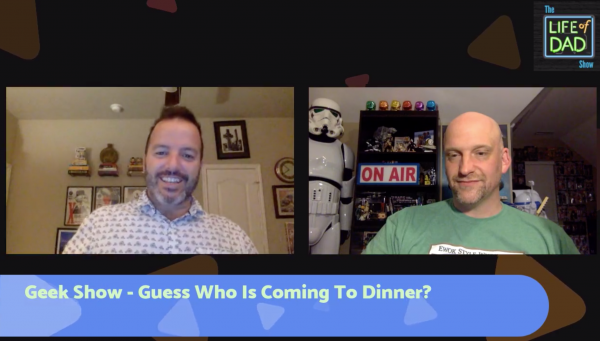 Geek Show – Which Three Fictional Characters Would You Invite To Dinner? If you could have dinner with three fictional characters who would they be? This week our Geek Show hosts, Art Eddy and Patrick Quinn share the fictional characters they would have dinner with. The audience did a great job of bringing some interesting characters to the table. Shawn Kingbird · Magneto, Wolverine and Krang. Patrick Tellez · Batman, Borat and Beavis and Butthead. Dennis Snider · Arthur Dent from hitch hiker guides to the galaxy, Alex from a Job a comedy of Justice by Robert Heinlein, Honor Harrington from David Weber’s Honorverse lol. Christian Ross · Stallone, The Rock and Schwarzenegger.